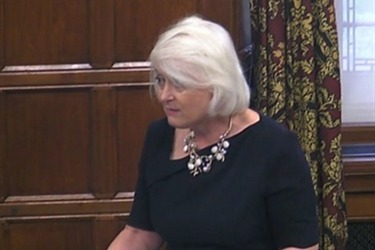 Siobhain confronts Minister on cuts to school funding. She stressed that the government's plans would threaten the improvement that London schools have seen in the last twenty years. You can watch her speech here or read it below. I congratulate my hon. Friend the Member for Dulwich and West Norwood (Helen Hayes) on her brilliant exposition of the issues currently facing London schools. In May, I will have been the MP for Mitcham and Morden—the place of my birth—for 20 years. One of the biggest and most satisfying things during those 20 years has been seeing the blooming of our schools. Schools that were universally performing so poorly have been transformed into schools that, in the main, although not exclusively, are doing really well. School buildings are now places that people would want to enter, rather than fearing to enter. I want to see that continue, and I want to see that mostly for those who have least. What concerns me is the number of teachers who come and see me at my Friday advice surgery from schools where children are in temporary accommodation and finding it difficult to get to school. As has been mentioned, more children than ever suffer from mental health problems and are self-harming. These demands on schools at this time make it difficult for them to cope from where they are, let alone if they lose any funds at all. Let me gently point out to the hon. Lady that 96.2% of the schools in her constituency, Mitcham and Morden, gain funding under the new national funding formula. That amounts to a 6.6% increase once the formula is fully implemented, and that is £3.5 million. Schools should not be coming to the hon. Lady to talk about cuts in funding, because 96% of her local schools will see an increase in funding under this formula. I invite the Minister to come to William Morris Primary School, in Pollards Hill, which is going to lose £487 per pupil, which is the equivalent of four teachers, or to Singlegate Primary School, which will lose £424 per pupil; or perhaps he would like to go to Morden. Again, the hon. Lady takes the misleading figures from the National Union of Teachers, which is conflating the cost pressures that all of the public sector ?is incurring over this year and the next three years—amounting to 8% in total—with the national funding formula. The national funding formula is good for schools in the hon. Lady’s constituency. I hope very much that her local headteachers and she herself will support the new national funding formula, because it is fairer, and fairer for her schools. Order. I call Siobhain McDonagh. I am sorry to interrupt my hon. Friend, who is making a fantastic speech. The Minister has interrupted hon. Members a number of times. The figures that he talks about, from the Association of Teachers and Lecturers, the NUT and the National Association of Head Teachers websites, come from the figures from the Department and the National Audit Office, so the figures are as accurate as they can be from Government statistics. The Minister should stop interrupting Members who are standing up for schools in their constituency. I thank my hon. Friend for his intervention, but I am delighted that the Minister is intervening on us, because he needs to understand what schools are finding and experiencing. I know from my long awareness of his work that this cannot be a pleasant thing for him to be doing. He needs to understand—I am sure he does—the effect on the schools that are the most vulnerable and hang on to their improvement with all their might. That brings me to a school that we both appreciate—Harris Academy Merton. It has had a 70% pass rate for five A to C GCSEs in the last year and will lose £298 per student. St Mark’s Academy will lose £291 per student. These schools cannot afford to lose money. They need the Government’s help, not the Government’s debate.